When garage doors at homes or businesses become immobilized, whether by going off track, becoming jammed or ceasing to function properly for some other reason, the loss of access to vehicles, equipment and other stored items can severely impede the smooth functioning of daily life and commercial enterprises. Damaged garage doors also heighten vulnerability to vandalism and theft of valuable assets. Sometimes garage doors break down from a single incident of mishandling, and sometimes their mechanisms simply wear down through constant unremitting use. Occasionally, criminal activities such as burglary or vandalism provoke the need for garage door repair. Regardless of how doors become damaged, the sooner you call Chicago Garage Doors Store for professional maintenance or repair, the sooner the doors can function properly again. Our garage door repair technicians are ready to respond to emergencies in the Chicago area every hour of the day and every day of the year. The training that our garage door specialists receive qualifies them to repair multiple types, configurations and brands of garage doors and garage door opener systems. They are eager to communicate with clients about the details of the services we provide and present a clear and precise picture that clients can easily understand. 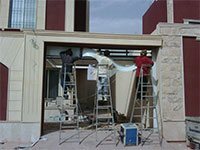 The expertise and approachability of Chicago Garage Doors Store makes us the best option for garage door repairs and maintenance in Chicago. Often big concerns spring from initially tiny problems, and this is nowhere as true as in garage door difficulties with keys and locks. A single broken lock or missing key can prevent family access to needed vehicles for commuting and chores and prevent businesses from keeping their commitments to on-time deliveries. These difficulties make problems concerning garage doors intensely troublesome and important to solve as quickly as possible. Chicago Garage Doors Store technicians have the tools and expertise to make problems with lost keys and jammed or broken locks disappear and get clients back on track in their homes or businesses. Our specialists promptly arrive on site in our well-equipped mobile repair vehicles to efficiently handle any simple or complex garage door repair or maintenance issues. For emergency garage door repair issues, calling on Chicago Garage Doors Store means that you have access to an unsurpassed comprehensive array of efficient professional services. We promptly dispatch mobile service units to attend to your needs. If your home or business is located in our service network, our experienced technicians, who maintain our superlative service standards on every task they perform, will be on the job within the hour. When you rely on Chicago Garage Doors Store for garage door service, you have the peace and assurance that our specialists can not only take care of any current garage door repair problems, but also help you work on solutions that can prevent future difficulties. 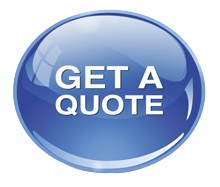 Our repairs, as well as the materials and components we use, are always top quality, and we stand behind them. If you have need of the on-demand emergency garage door repair services that have given us a well-earned reputation in Chicago, call on Chicago Garage Doors Store today.